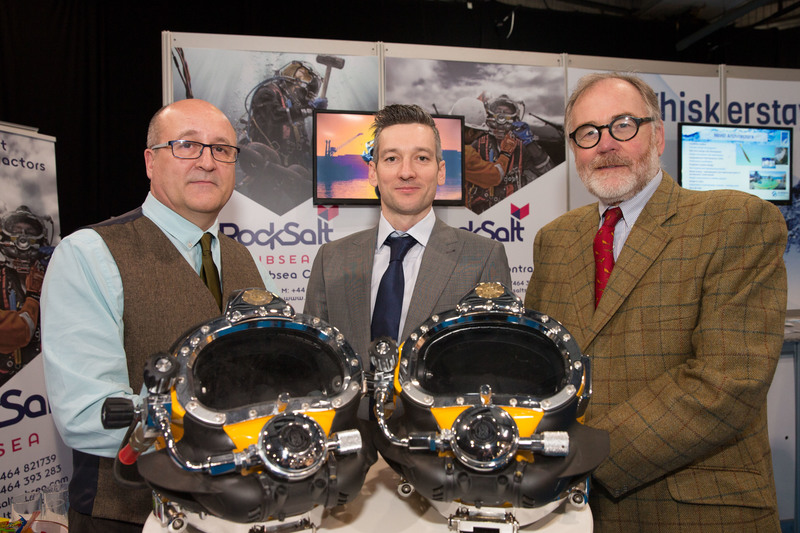 So says Tony French, director of the north-east’s newest commercial diving company Rocksalt Subsea. The company formed in the ashes of subsea firm Harkand Group, which collapsed last year with the loss of 170 jobs across its London and Aberdeen offices. Undeterred by the prospect of signing on at the job centre several colleagues banded together, determined to prove there was a niche in the commercial diving market. Originally the company, based in Aberdeenshire, was aimed at targeting the renewables market – marketing “cost efficient” diving solutions for underwater projects. However as the firm starts 2017, its portfolio has expanded to include civil, onshore, offshore, and the oil and gas industry. French, a former saturation diver, said they have already carried out work in Aberdeen Harbour, with the prospect of more at Invergordon coming up soon. He said: “We just decided to start up and give it a go. “There’s been a lot of interest. There’s been a lot of tenders coming in but obviously we don’t know if that’s people fishing or trying to find out what we are about. Philip Bradbury is the firm’s HSEQ manager and a consultant to Maersk’s Norwegian operations. He said the small size of the business will hopefully allow them to escape the killer touch of the downturn, which was the downfall of Harkand, his previous employer. Bradbury said: “Around April last year there was a lot of energy as we had all been made redundant at Harkand. “Being a small company we have to live in this environment at the minute where what we do is keep our costs low while looking for work to come in. “It is a very small business we are operating but we are broadcasting ourselves out there. He added: “But we’ve got to think how we can support these resource wise so we have to start with small steps. “We’re seeing this as a temporary measure but that’s how we are all going to have to live at the moment until the market starts coming back.